IR Interupt Circuit - In this circuit it is designed so that when something passes in between the IR Led and the IR phototransistor it causes a positive signal which can be used to turn on LED's(with appropriate resistor), relays or anything else you could think of as long as it is under 200mA. 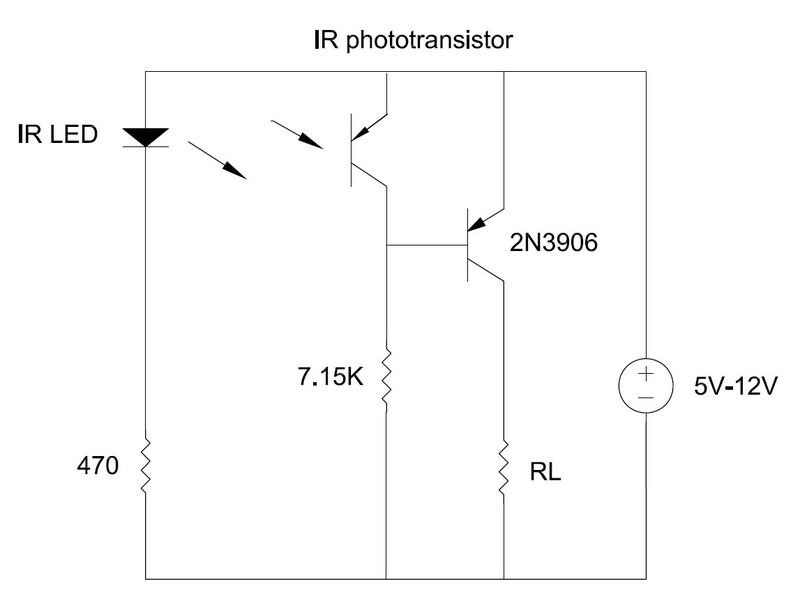 For this circuit to work the LED must be pointing directly at the IR phototransistor. I have not tested the range that the LED can be away from the phototransistor but my application for it is an optoswitch for a CNC machine so there is only a small gap for material to pass in front of the LED. RL is the resistive load to which you drive with this circuit, if driving an inductive load like a relay or motor always add a flywheel diode to protect the circuit. Claw Game Circuit - The circuit which I designed to the left, shows the basic control and interface of a claw machine that one would find in a local shopping center or arcade. It interfaces to a single ATMega16 chip in order to read commands from a NES controller and output signals to the x/y/z axis as well as a 4th motor controlling the claw open/close command. 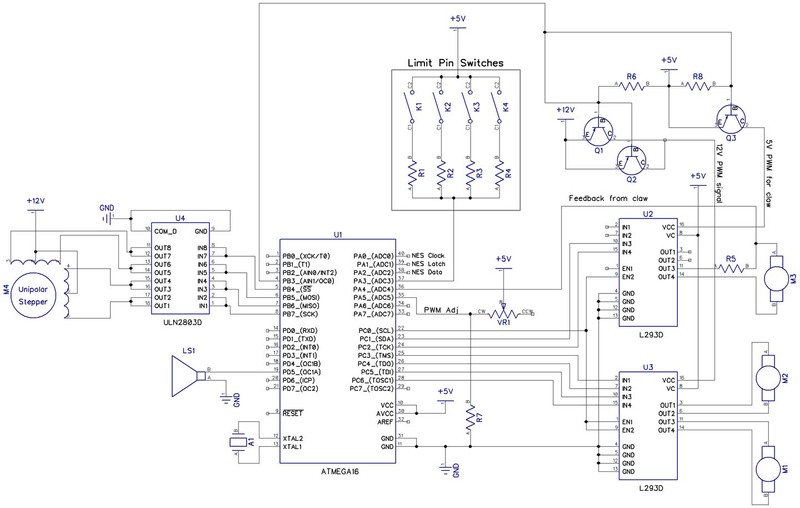 I will eventually post the working code and the finalized circuit diagram.